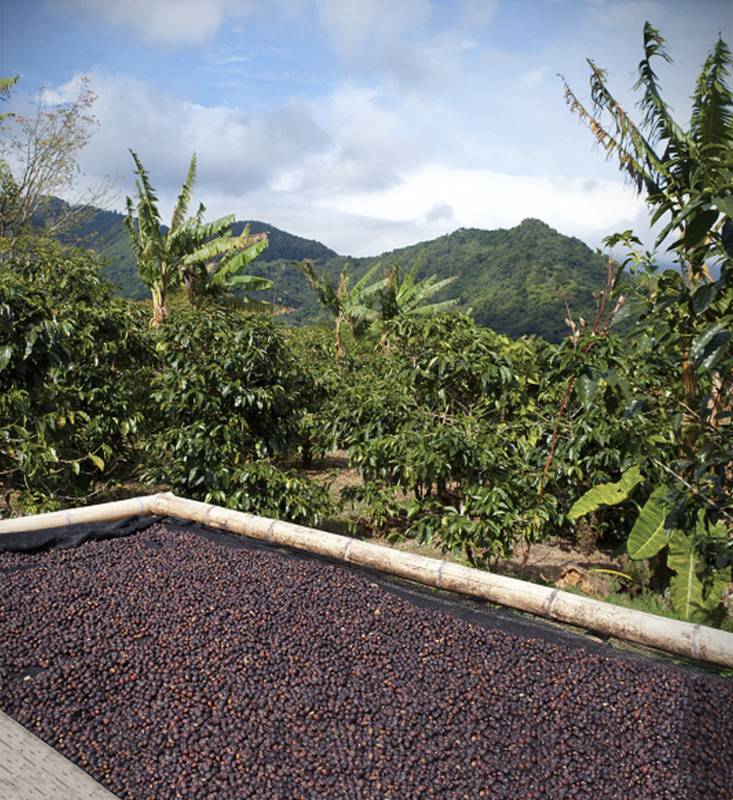 There are no shortcuts to sourcing great coffee. The journey we embarked on years ago, and continue to this day, can’t be rushed. Our resident Coffee Master knows this. A born explorer and expert in soil and crops, he has devoted his life to seeking out the most progressive coffee farmers across Latin America, East Africa, and Southeast Asia. Those who truly understand the relationship between bean and environment. We work alongside the Rainforest Alliance to encourage long-term sustainability and are in constant conversation with growers, doing whatever we can to guarantee quality and consistency. Building these relationships takes time and lots of effort, but we think its worth it. Not just any bean makes it into our blends. The beans we select are grown at high altitudes, in rich soil, and picked by hand at exactly the right time in their harvest cycle. They are simply better quality beans and able to complement our meticulous roasting methods. Our espresso owes its distinctive, full-bodied flavour to our founder, Gerry Ford, who left no stone unturned in his drive to create our signature blend nearly 20 years ago. Tirelessly sourcing, selecting, and tasting combinations of beans from across the coffee-growing world we honed our Classico blend, as it is today. A wonderful, rich flavour with a sweet-spot of boldness and complexity, combined with notes of toasted bread and intense dark chocolate. Coffee beans are naturally volatile; every batch will be slightly different, depending on how they were farmed. Our Coffee Masters continuously fine-tune our signature recipe accordingly (a recipe known only by five people in our family-run company). Their expertise,earned over decades of roasting remarkable coffee, ensures the quality and character of our blend is consistent, all year round. Their expertise, earned over decades of roasting remarkable coffee, ensures the quality and character of our blend is consistent, all year round. Our farmers, their communities and the environment where our coffee is grown.